I have mentioned lots on here lots of times that we have a National Trust membership and I was delighted to see that there was an exhibition at Berrington Hall which is one of their sites and therefore we had free entry. 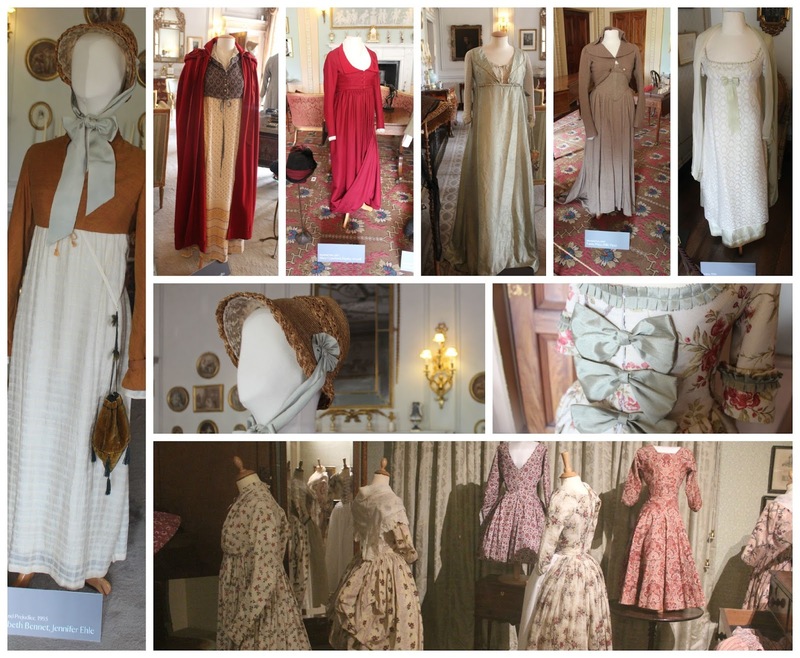 The exhibition included clothing from various film and TV adaptations of Jane Austen's books including Pride and Prejudice with Colin Firth and Emma with Gwyneth Paltrow. Austen is one of my 3 favourite authors and this was a very exciting opportunity to see the clothes in an appropriately beautiful setting. 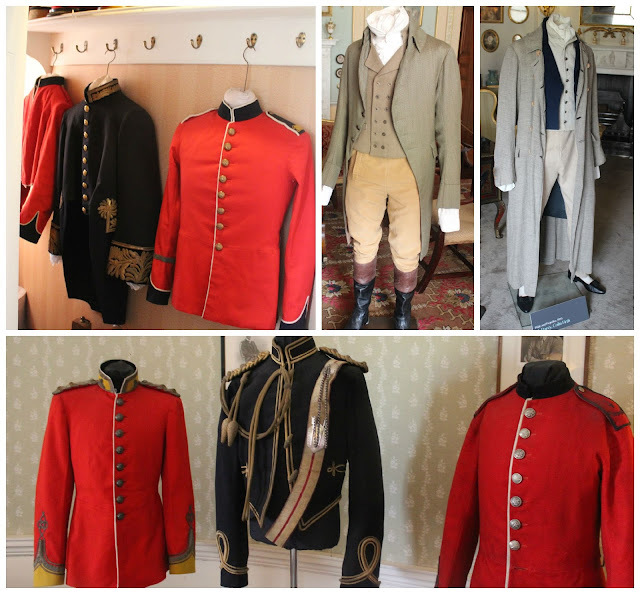 The clothes were created using authentic fabric and dyed to colours which would have been available during the early Victorian era and whilst beautifully romantic, it was easy to see how they were also impractical. Recent programmes like Downton Abbey and Mr Selfridge have addressed the influences that changed fashion and clothing to what it is today but seeing these dresses in the flesh illuminates these reasons even more so. All this said, I will still take great joy in the escapism that Austen's books provide, now with further illustrative ammunition to fantasize about being a wealthy Victorian débutante reading and sewing all day with balls to entertain me in the evenings (without actually booking myself into Austenland). 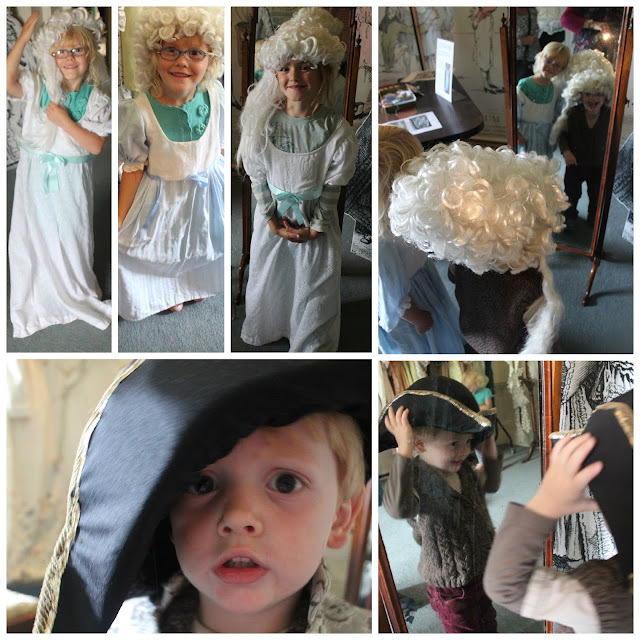 The dashing outfits and costumes for the males were equally effective in prompting thoughts of living in that earlier era *swoon*. 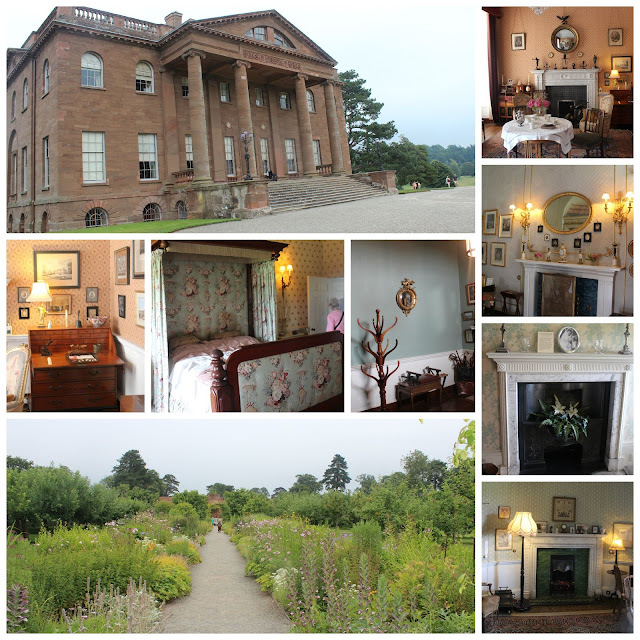 I do recommend the exhibition for historical fashion fans and Austen readers alike although Berrington hall is also worth a visit anyway. It has beautiful gardens and they were offering several trails for in addition to dressing up opportunities for children (and brave adults).